Some of our favorite shops & galleries who exhibit or sell art, design, furniture, vintage pieces or great collectible items in Los Angeles. Mak Center for Art and Architecture is an exhibition space for art and architecture housed in what was the home of architect Rudolf M. Schindler. The house alone is worth the visit. Built in 1922 is a great example of modern Architecture. 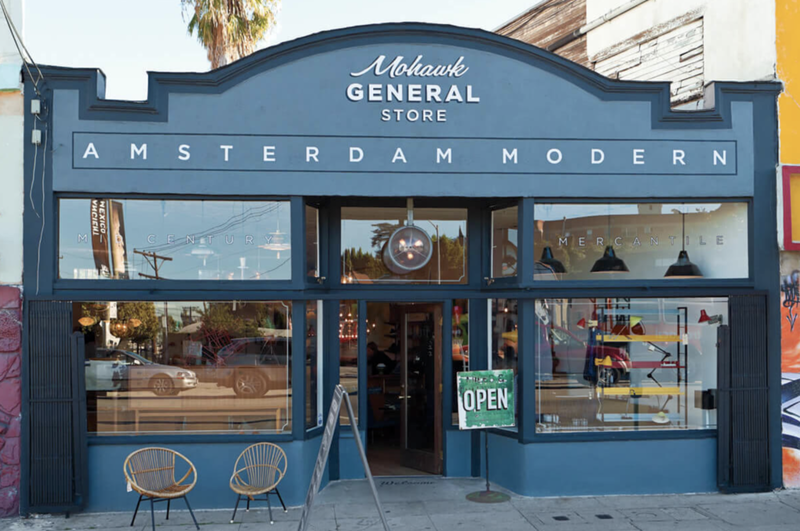 Mohawk General Store this little store in Silver Lake carries a great range of cutting edge clothes designers along with homewares and apothecary, Studio Nicholson, Dries Von Noten, Reinhard Plank, Lee West Object and D.S & Durga to name a few. The Fountain Coffee Room at the Beverly Hills Hotel built in 1949, is classic perfection. 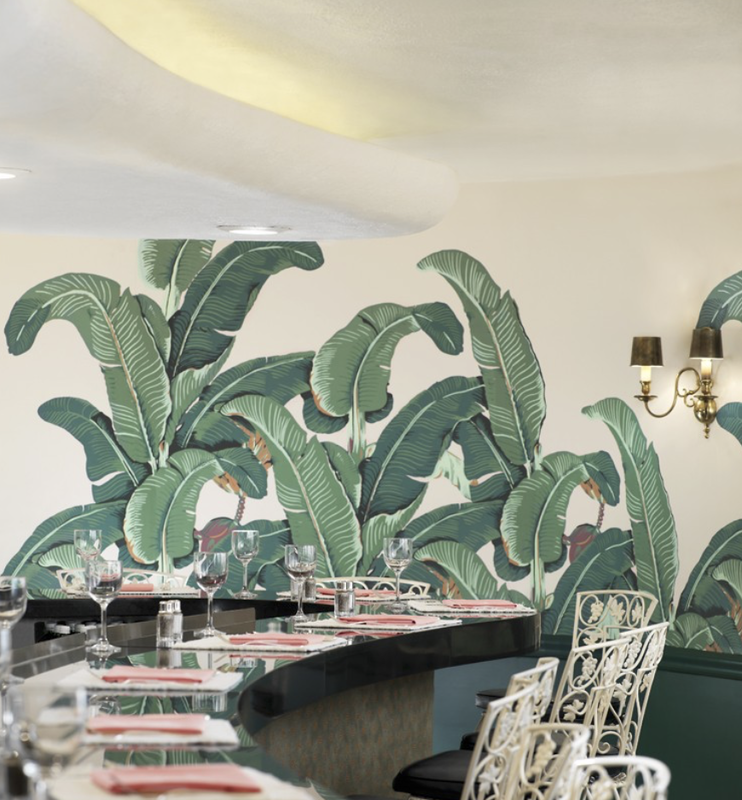 You'll want to take up a bar stool at the counter, order a milkshake and take in the banana leaf wallpaper and pink napkins. Kelly Wearstler Flagship Boutique this celebrated interior designer hosts all her powers under one roof: architecture, interior design, curated items and Kelly's own collections, what's not to love. The Theater at the Ace Hotel yes I'm a fan of the Ace hotels but this theater from 1927 in a Gothic Spanish style is worth a trip to Downtown LA on its own. The theater hosts some great concerts, screening and talks, check out the calendar for upcoming events. Opening Ceremony room after room of fashion forward designers, this little house is a wonderland of perfectly selected pieces, much more fun than the one in NY. Pacific Design Center this monstrous facility houses showrooms for Espasso, James Perse Furniture, Schumacher, Scalamandre among many, many other design brands and manufacturers. Architecture Tours LA the city architecture is a gallery with concentrations of mid-century modern works by Richard Neutra, Frank Lloyd Wright, John Lautner among others. 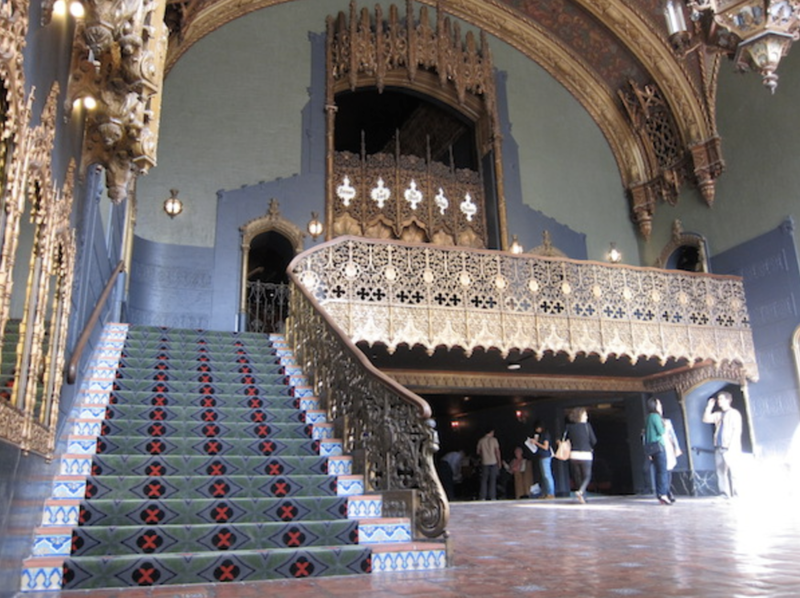 Great for architecture fans, Los Angeles has lots of neighborhood, styles and historic sites to offer. Joan's on Third ok not a design gallery or shop but a super cute food market and restaurant, great to refuel, I highly recommend the rosemary chicken sandwich! Wanna Buy A Watch vintage watches galore at this shop. Sure they sell online and 1st dibs but there is nothing like spending all afternoon trying to find the perfect time piece.